The early 90s saw a shift in the type of events frequented by the swarms of young Brits eager to dance the night away to something futuristic. 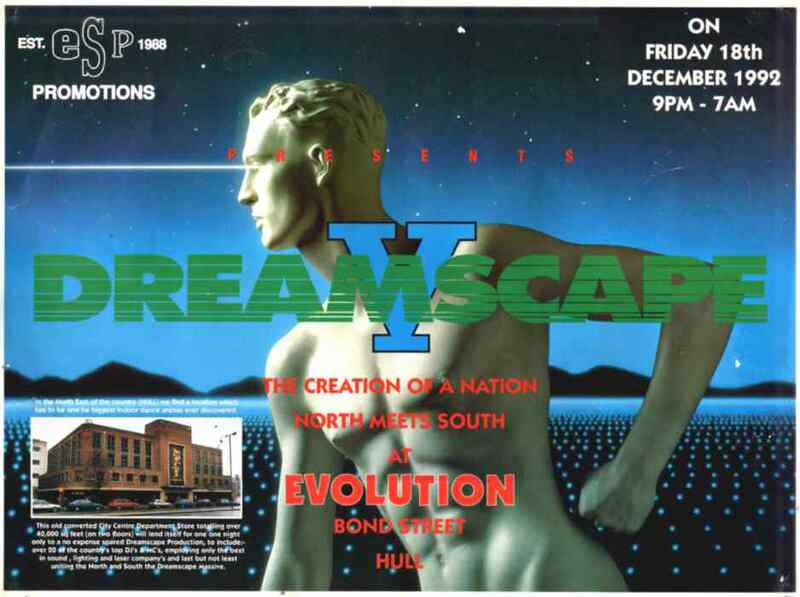 A new crop of promoters emerged around ’91, bringing with them a host of parties with names like Fantazia, Perception, Life Utopia and Dreamscape, while the muddy fields were replaced by urban, arena-style venues. Advances in printing technology and the sheer number of parties made for a competitive market and artists had to try even harder to be noticed with each design. Ushering in what some call the ‘Second Wave of Rave’, these parties brought a new aesthetic and produced some amazing flyers. A few of our favourites don’t come with a name attached, but there are two designers that seem to stand out from the rest. Both were incredibly prolific and produced flyers for several different parties, with their designs coveted, sought after and serving as inspiration for fledgling artists and designers to this day. Those guys are Pez and Junior Tomlin, two names that left an indelible mark on the very fabric of British rave culture with their vibrant, dreamlike artwork. If you’ve laid eyes upon a Raindance, Helter Skelter or Dreamscape flyer there’s a good chance you’ve seen one of Steven Perry (aka Pez)’s surrealist designs. In 1991 he designed the flyer for the Raindance party, ‘What The World Needs Now’, but that nod to 1960s psychedelic art doesn’t really capture the imagination. That isn’t the case for the majority of his work however, having churned out some of the most eye-catching, bizarre and thought-provoking flyers the scene had to offer. Having started out in the 1980s with “quite a bit of illegal graffiti”, it was a natural progression to use an airbrush for his professional work. Exotic, otherworldly and almost spiritual at times, Pez claims to have woven hidden meanings into each of his flyers, although many remain a mystery to this day. I guess it was for the punters to ponder over and try to decipher on the way home, all bug-eyed and weary. Maybe they’re like those 3D stereograms, but a rare sort that only work with seriously dilated pupils. Junior Tomlin’s fascination with sci-fi aesthetics started young. Obsessed with drawing robots from Lost In Space as a lad, there are parallels between the dated, chintzy look of Robot B-9 and the assortment of humanoid and robotic characters to appear on his flyers. Dubbed ‘The Salvador Dali of Rave’ for his surreal designs, Tomlin also seems to draw inspiration from the likes of José Roosevelt and Chris Foss. Whether it be flyers, computers game illustrations or cover art for trance, techno and jungle records, Tomlin’s amalgamation of sci-fi and fantasy played a huge part in shaping his own idiosyncratic style. A big thank you to Phatmedia for providing all of the artwork. Head over to their website to browse through the other archived designs.